If you know the name Bryan Fuller, it’s probably because he’s the co-host of the Speed TV show Two Guys Garage. 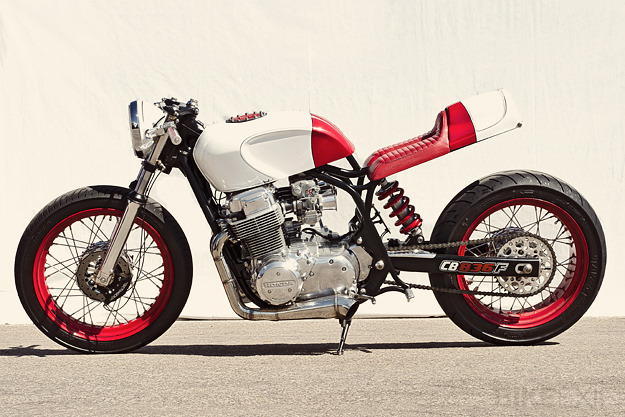 Fuller is also a very adept custom bike builder, and created this machine for Cafe Racer TV. 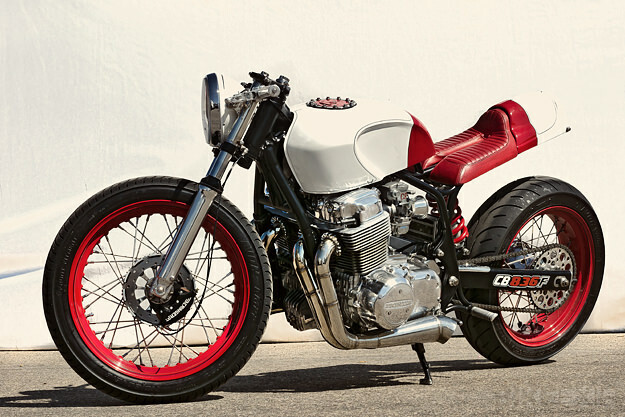 It has the most aggressive stance of any CB750 we’ve seen recently, and the performance credentials to back up that sporty look. The motor has been uprated to 836cc and now breathes through Keihin CR carbs. 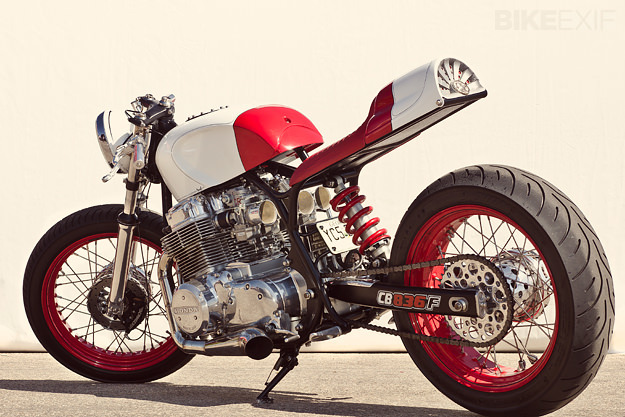 The brakes are thoroughly modern Beringers—with inboard rotors—and the swingarm is a modified Yamaha Seca II part. 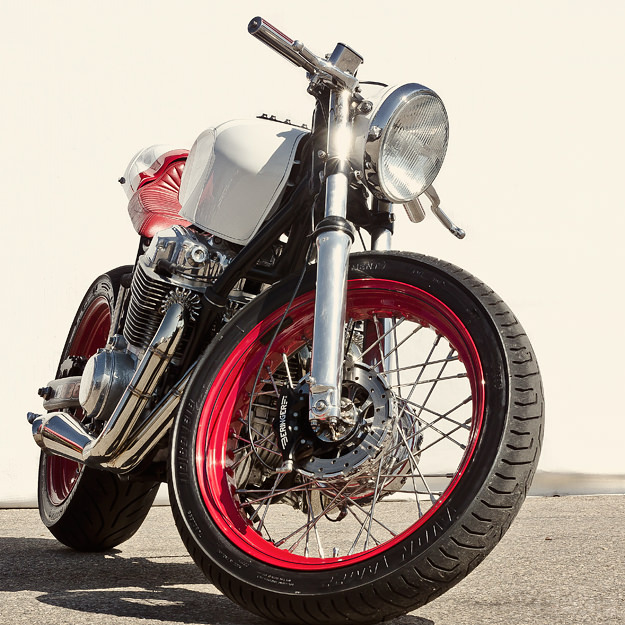 The tank is a reshaped Honda item, fitted with an aircraft-style filler cap, but the rear bodywork is entirely new, and fabricated from aluminum. 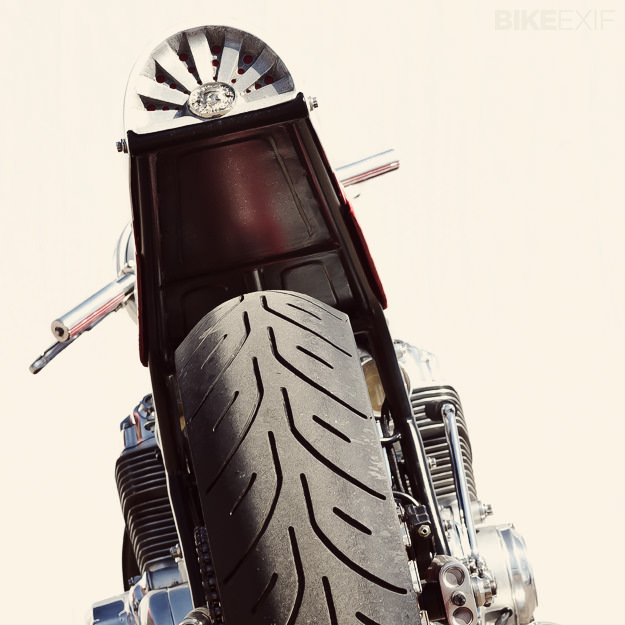 The forks have been shaved and polished, and a custom monoshock sits at the back. Neat touches abound, with the oil tank built into the swingarm and a Buell lens slotted into the custom headlight shell. Fuller knows what he’s doing, and if you’d like to see how he did it, keep an eye out for reruns of season two of Cafe Racer TV—Fuller features in the first three episodes. Images courtesy of Kevin Warren.